VirtualBox is a powerful Open Source virtualization software from Oracle, Which supports Linux, Windows and Mac OS. Current stable release is VirtualBox 4.3. First install the dependency package to avoid error. 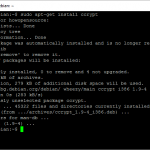 Open a terminal and run the following command to download and install the key from Oracle. Issue the password for the user when prompted. Now install the virtualbox 4.3 using the below command. To install the previous version just replace 4.3 to 4.2 / 4.1 / 4.0 / 3.2 in the above command. 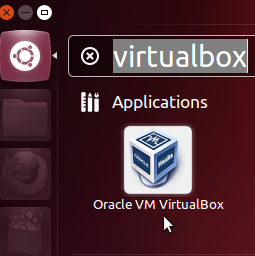 Go to dash and type Virtualbox, click on the icon. Check the screen shot. 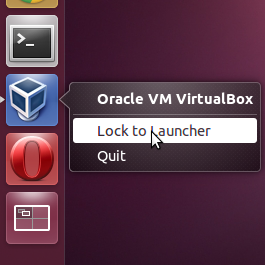 Permanently add virtualbox icon to unity launcher by right-click on it and lock to Launcher. Check the screen shot. 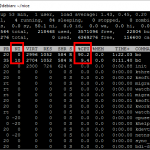 check how to manage virtualbox commandline. * Trying to register the VirtualBox kernel modules using DKMS Error! Your kernel headers for kernel 3.8.0-22-generic cannot be found. * Trying to register the VirtualBox kernel modules using DKMS Error! Your kernel headers for kernel 3.5.0-26-generic cannot be found. How do I specify KERN_DIR? Or how can I get my VM to run again. one more thing for easy install apt-get instal aptitude and then aptitude install virtualbox auto resolve dependencies. Then it will be updated as usual with dist-upgrade. Every outside repository is not a PPA!